If you begin a search for a new home by going online to check out the Hood County listings, it’s likely that one of the first search criteria you enter will be the price range. After all, unless you are a virtual looky-loo who is just checking out how the other half lives, your budget will dictate which homes you seriously consider. If you are one of the more than two-thirds of us who will be counting on a loan to help finance that home purchase, the monthly payment amount is really what matters. But remember, this quick example is one that required you to sit down. Sooooo -- what’s the problem? It’s this talk about the Federal Reserve wanting to raise the federal funds target rate. That would have to trigger rises in the mortgage interest rates in Granbury (and everywhere else). In our quick example, taxes and insurance costs stay the same; but suppose the mortgage interest rate notches up one little percentage point, to just 5.05%? That’s still below the historical average, yet the same home—and the same loan except for that one percent raise—now requires a monthly $1,486 payment. That crosses the budget recommendations—and although some lenders would likely consider other factors that might make the loan possible, that single percentage point rise does wind up costing Average American Homebuyer more than $1,630 a year (and nearly $50,000 over the life of the loan). 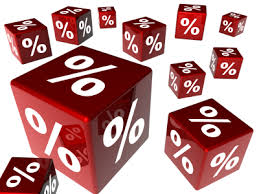 A further note: August saw Granbury mortgage interest rates fall below even July’s 4.05%. Another very good reason to give us call at 817-736-5757! Or search our incredible website here!